Home Eco Friendly Guide	China: Luring bio-fuel production profits spark grain supply shortages worries! China: Luring bio-fuel production profits spark grain supply shortages worries! The huge profits of bio-fuel production are luring investors and local governments to increase the industry in leaps and bounds across the world. Chinese corn processors — despite government curbs on the industry expansion — are so, for the same reason, betting on producing bio-fuel. It was earlier December; the government halted new project approvals that process corn into ethanol, as the grain supply shortages had sparked worries in the country. 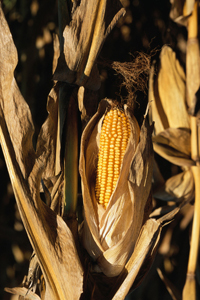 The ethanol produced from corn is mixed with gasoline at a ratio of 1:10 as ‘clean energy fuel’ for automobiles. The government fears that ethanol-mix gasoline will account for half of domestic gasoline consumption by 2010, — which is 2.5 times the current percentage. But, huge foreseen profits out of it could not stop investors and local governments to continue preparing new projects. The new projects are estimated to produce an annual output of more than 10 million tons of fuel ethanol planned. It is almost ten times the current 1.02 million tons. China National Grain and Oils Information Center informed that the corn processors of China are expanding their alcohol production capacity by an estimated 1.6 million tons per year. Our land has already been worn out to feed 1.3 billion people. The whole thriving phenomenon warns that the reliance on the mass consumption of corn for energy would one day lead to serious environmental problems! Is the New Rodent a 'Living Fossil'? ← Project to minimize catastrophic impact of natural disaster!